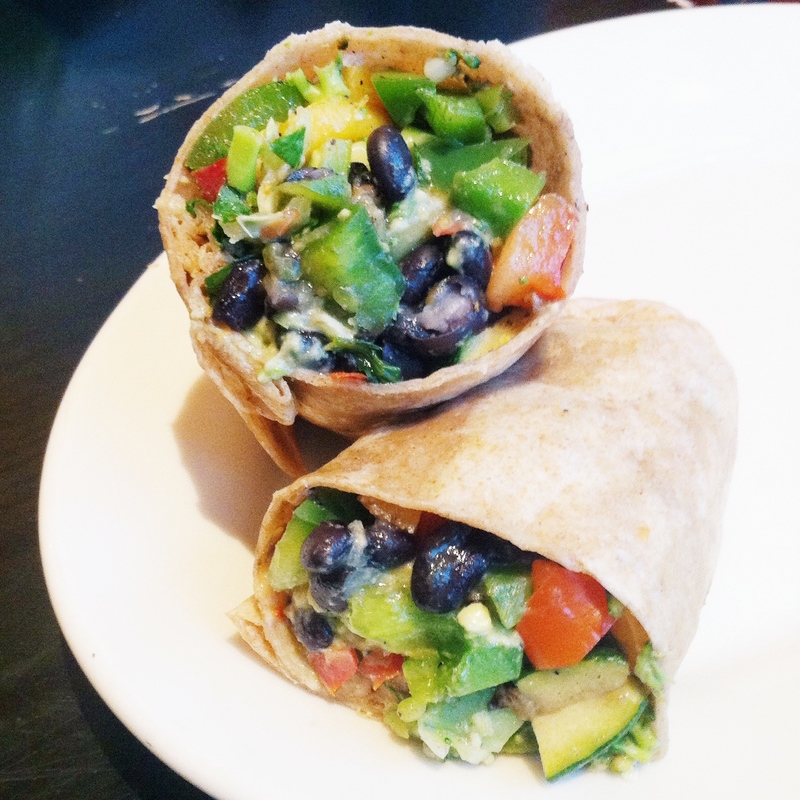 Sofritas Monday – Give Tofu a Try Today! For those of you that are hesitant to embrace Meatless Mondays, maybe Chipotle can help convince you. After all, they’ve got free burritos. Don’t let the word tofu scare you off. These are not the squishy, lifeless soy cubes from your aunt’s yoga café. The sofritas are made from shredded, organic tofu mixed with chipotle chilis, poblano peppers, and lots of fragrant spices. In fact, the final result is actually comparable to the taste and texture of ground beef. The first time I tried the sofritas was actually prompted by a Chipotle coupon as well, because to be honest, tofu and I didn’t get off to a great start. My first attempt at cooking those jiggly soy bricks ended in a miserable failure. I was in college at the time, and a friend recommended that I cook the tofu like meat. So after letting it bathe in a delicious teriyaki marinade overnight, I pulled out the George Foreman Grill. To my dismay, the slippery tofu slid right off of the grill and splattered onto the floor. So much for that approach! Fast forward a few years later… Slowly but surely, I am warming up to soy proteins. (I have also ditched the Foreman grill). For example, soy chorizo (okay, definitely not a health food) is absolutely delicious in this recipe. And soy crumbles are actually quite pleasant when used in vegetarian Sloppy Joes or Bolognese sauce. Do you think you’re ready to give soy foods a try? Ease your way in with the carnivore-friendly sofritas! Also, if you’re curious about the safety of soyfoods, be sure to check out this handout from the Academy of Nutrition and Dietetics! P.S. Are you curious about what this RD gets in her Chipotle order? I go for the Sofritas Bowl (or sometimes a Vegetarian Bowl or Pork Carnitas bowl), Brown Rice, Black Beans, Bell Peppers & Onions, Pico de Gallo, Corn Salsa, Lettuce, and sometimes Guacamole. No cheese, no sour cream, no tortilla – no problem! 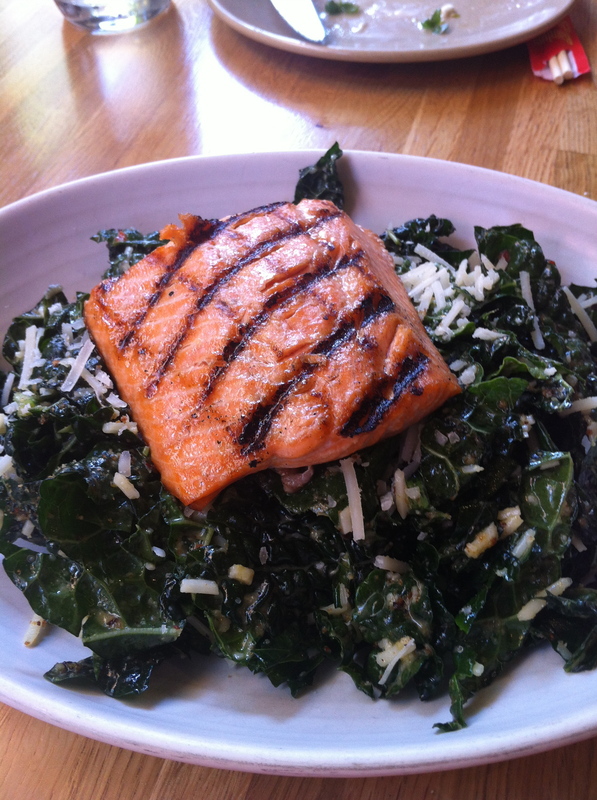 True Food Kitchen: This RD approves! This summer I spent a week in Phoenix, Arizona with my family. 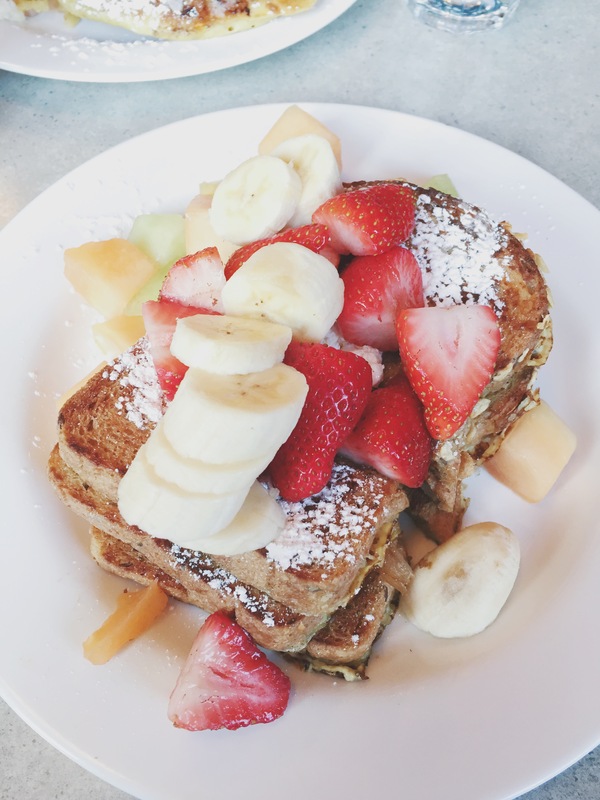 Not only was I able to read, swim, and spend some much-needed quality time with my family, but I was also able to finally eat at True Food Kitchen! ^^The airy, trendy atmosphere was definitely a seller. Image via Fox Restaurant Concepts. True Food Kitchen serves up “globally inspired cuisine” at its 6 different locations (all in the Southwestern United States). The basis of the menu is Dr. Andrew Weil’s anti-inflammatory diet, but don’t let that scare you off. From Spaghetti Squash Casserole with Fresh Mozzerella, Organic Tomatoes, and Zucchini to Grass Fed Steak Street Tacos with Avocado, Cojita Cheese, Tomotillo Salsa, Sour Cream and Anasazi Beans, these menu items are nothing short of spectacular. 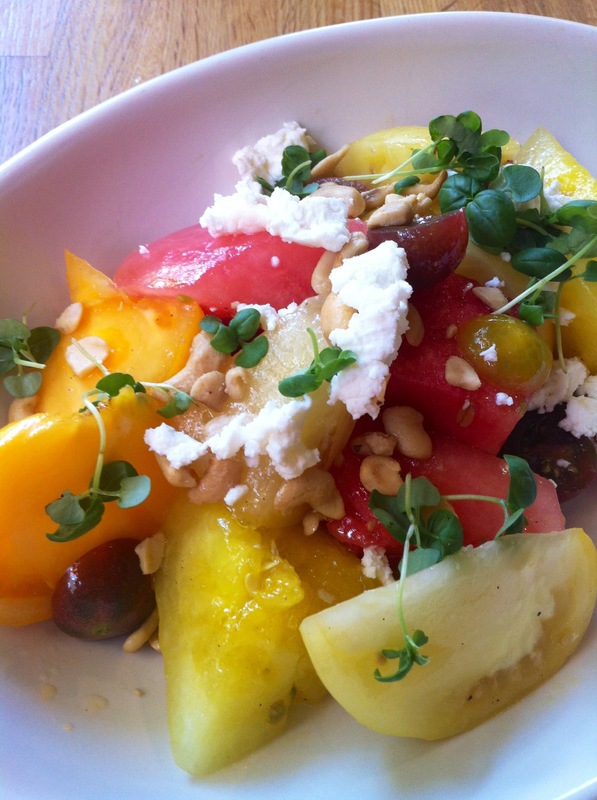 ^^ Watermelon & Heirloom Tomato Salad with Goat Cheese, Basil, Cashews, and Olive Oil. Quite possibly my very favorite item on the menu! Restaurants are usually a minefield of hidden fat and calories, devoid of nutrient rich fruits and vegetables. 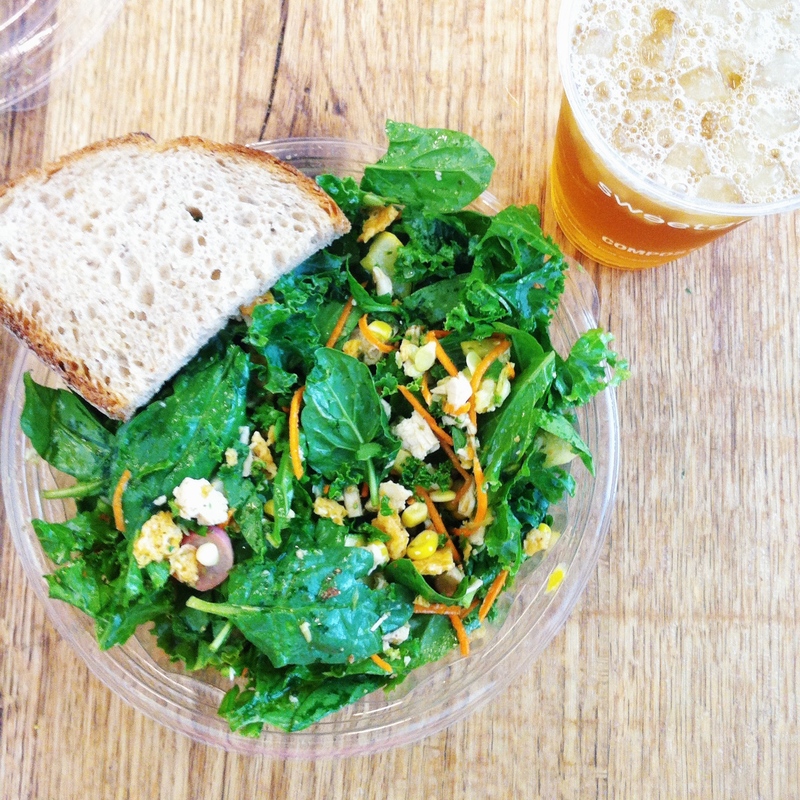 While True Food Kitchen does not post nutrition information (and some dishes do seem to be calorically dense), there is no doubt that the menu items available are extremely nutrient rich. I also love that vegetables are considered to be the main event, rather than an afterthought. Don’t live in the Southwestern United States? No problem! Lately I have been getting my True Food fix at home, courtesy of the True Food Cookbook (pictured above). This cookbook is filled with seasonal recipes from the restaurant, as well as the most gorgeous photography I have ever seen. 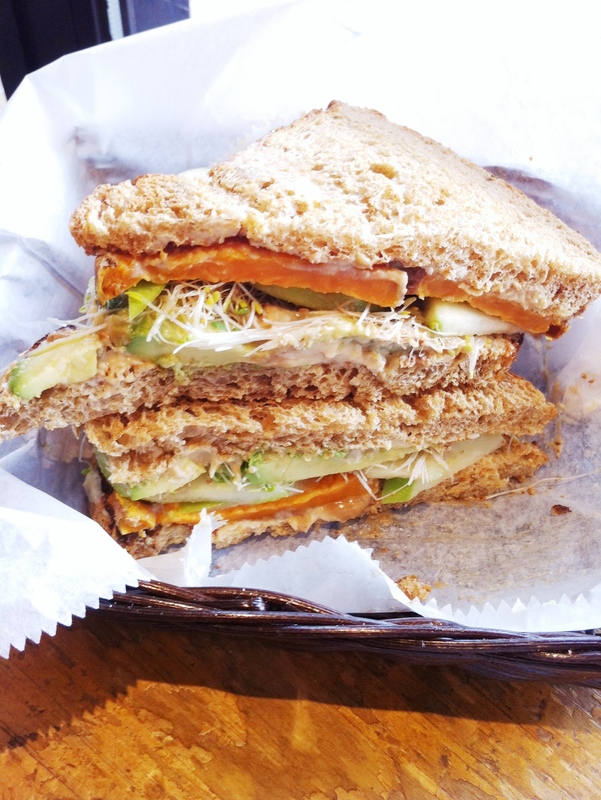 Have you ever been to True Food Kitchen? Do you know of similar restaurants on the east coast? Do tell!